Norman, OK, City Councilman Stephen Tyler Holman blamed the Oklahoma Highway Patrol's policy for the death of Lt. Heath Meyer, who was killed in the line of duty while trying to put out stop sticks during a high-speed pursuit last month. Holman's Facebook post read, "Putting stop sticks out to stop a car going over 100 mph is extremely negligent on behalf of the OHP. They put people's lives at risk by doing that and it ended up costing one of their own." The post has since been deleted but not without backlash, reports KFOR. "Heath Meyer put himself in harm's way that night to protect everybody on that highway, including Councilman Holman," said Corey Miner. 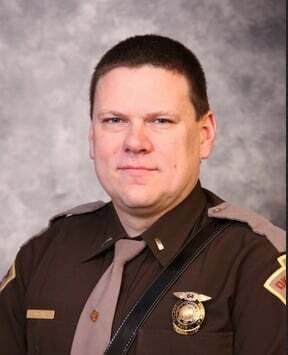 Miner is a former trooper and he wrote an open letter in response to Holman's controversial Facebook posts. "I think he should apologize to Trooper Meyer's widow, I think he should apologize to Trooper Meyer's two children, and I think he should apologize to those constituents whom he represents," Miner said.